The reverse mortgage industry was developed to provide seniors aged 62 and above a means to stay in their homes and utilize the mortgage proceeds to supplement their incomes. But not all seniors want to remain in their current homes. Some seniors want to downsize, or trade their two-stories for one level, or live in a home with barrier-free Universal Design that makes it easier to reach cabinets, turn doorknobs, use a wheelchair, and more. Others may want to relocate closer to family, or to enjoy the activities of a senior community. Mortgage or HECM, and is only available through an FHA approved lender. Like the FHA conventional reverse mortgages, the Reverse Mortgage to Purchase allows seniors to buy a new home with no credit or income requirements, and no monthly payments for as long as they occupy the home as their primary residence, maintain the home, pay property taxes, and so on. How it works is that the borrowers would normally sell their current home in order to have a down payment, or if they have enough cash to put toward the new home purchase, they may keep their current home as a rental investment. The down payment can only come from the sale of the current home, the sale of other assets, or savings. The borrowers may not use cash from credit cards, bridge loans, seller financing or seller contributions to closing costs. The downpayment plus the proceeds from the reverse mortgage pay for the new home. The sale of the current home and the purchase of the new home can be completed in a single transaction. Eligible homes for purchase include single-family homes, HUD-approved condominiums, planned unit developments, two-to-four-unit properties, and manufactured homes built after June 15, 1976. 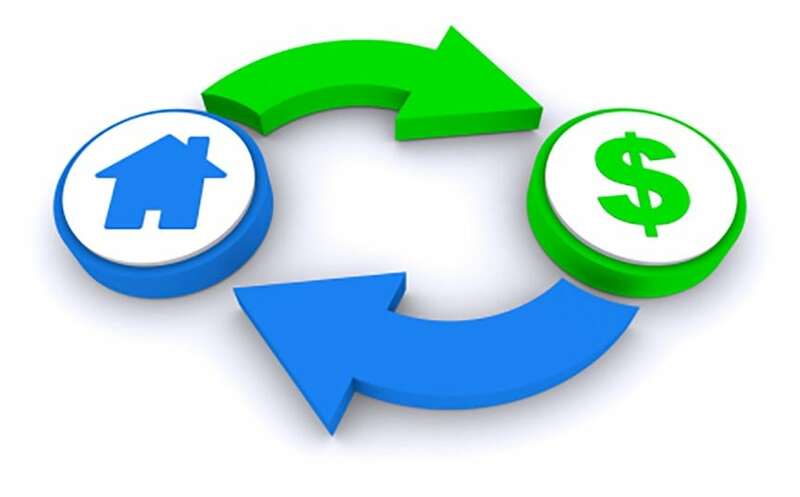 Reverse mortgages to purchase may not be used on coops, second homes, boarding houses, bed and breakfasts, or homes on leased land. Borrowers must occupy the home as their primary residence within 60 days of the closing date. If the borrowers are purchasing new or ongoing construction, the construction must be complete and a certificate of occupancy must be issued prior to the loan application. With an aging population that's living longer and likely to outlive savings or outspend Social Security and other retirement funds, reverse mortgages to purchase can be a legitimate option for seniors. To learn more, consult with a lender that is HUD-approved to learn more about HECM for Purchase loans.